Presenting this charming wall clock for your consideration. Crafted from iron, and featuring gold dials and hands over a black skeleton designed frame. 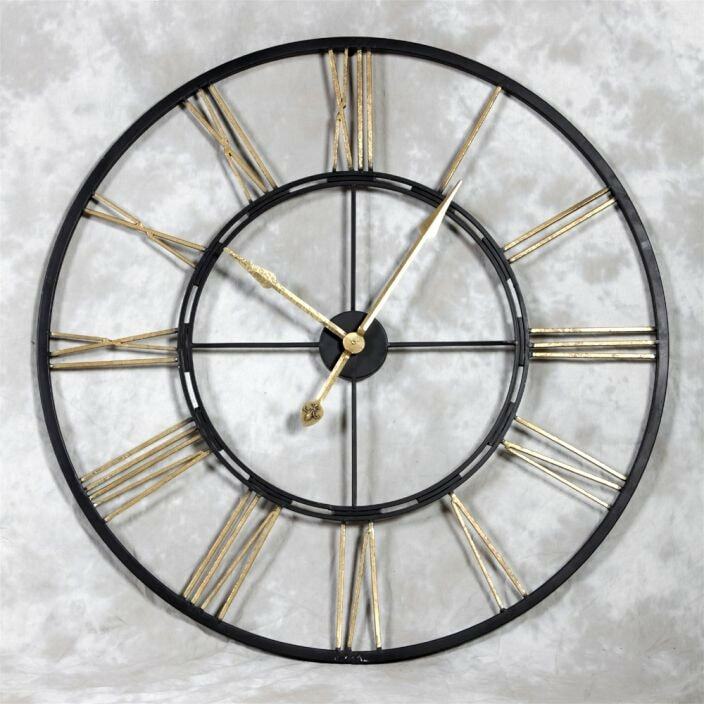 This wall clock is sure to provide a beautiful addition in any room of your choice.